Adventure Time is an American animated series created by Pendleton Ward for the Cartoon Network. The series follows the adventures of Finn, a human boy and his best friend Jake, a dog with magical powers to change shape and size at will. Finn and Jake live in the Post-Apocalyptic land of Ooo and along their ventures, interact with other main characters. 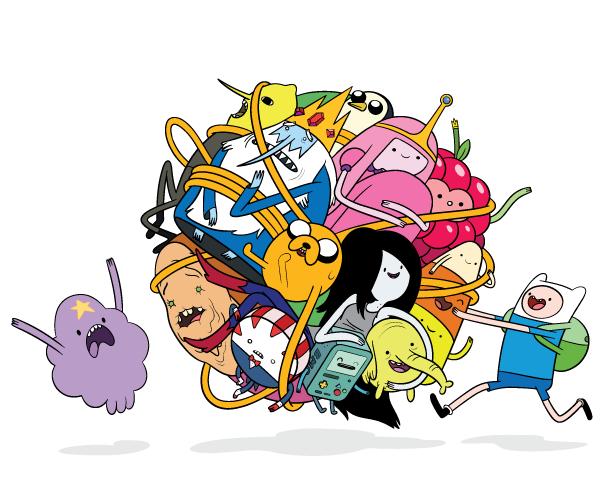 Adventure Time was officially premiered in April, 2010. Each episode is 11 minutes long and is usually paired with another episode to fill in a half hour time slot. The series has built a strong following of mainly teenagers and adults. With it's increasing success, Lady Sandra Home Fashions inc. has teamed up with the Cartoon Network to bring about a collection of blankets, cushions and beach towels all featuring the many fun characters of Adventure Time.